James Lee Burke returned to the program to talk about his latest novel in his landmark series featuring Louisiana lawman Dave Robicheaux. Burke had not written any Robicheaux novels in a number of years while he focused on some other projects. He returned last year with a new book about this remarkable literary character with the eponymous "Robicheaux." 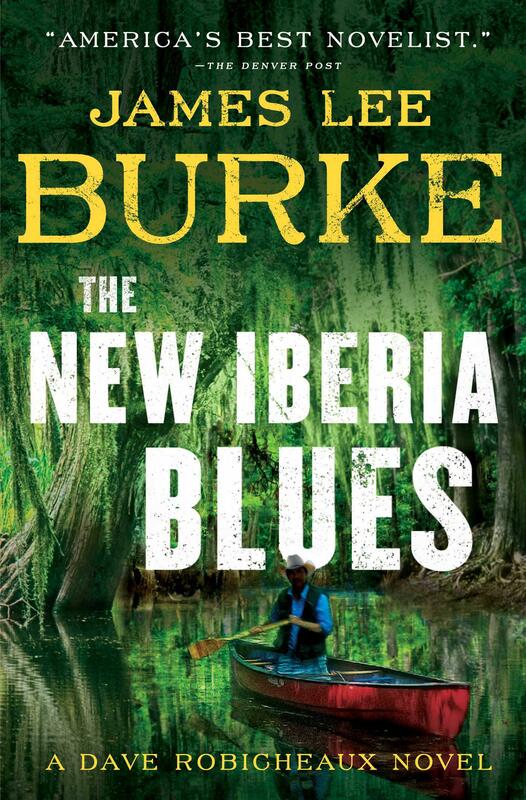 In this interview he explained that this new title "The New Iberia Blues" is intended as a followup to "Robicheaux" and is the second book in a planned trilogy. I called Jim at his place in rural Montana and on the day we recorded this conversation his phone line had a loud buzz. Sorry about that. Jim explained that he lives at the end of a dirt road out in the middle of nowhere. I have interviewed James Lee Burke more times than any other author. Every time I talk to him I discover something new about him. I'm looking forward to our next conversation. Dave Robicheaux is a character James Lee Burke imagined many years ago. When Burke tried to find a publisher for what became the first book in this series about a troubled Louisiana lawman the response was a blizzard of rejection slips. But the author is steadfast and a bit stubborn and he never gave up. All these years later he is recognized as the writer who invented this type of character in the crime fiction genre, a character that is often imitated but never surpassed.